Where’s your local Christmas Market? 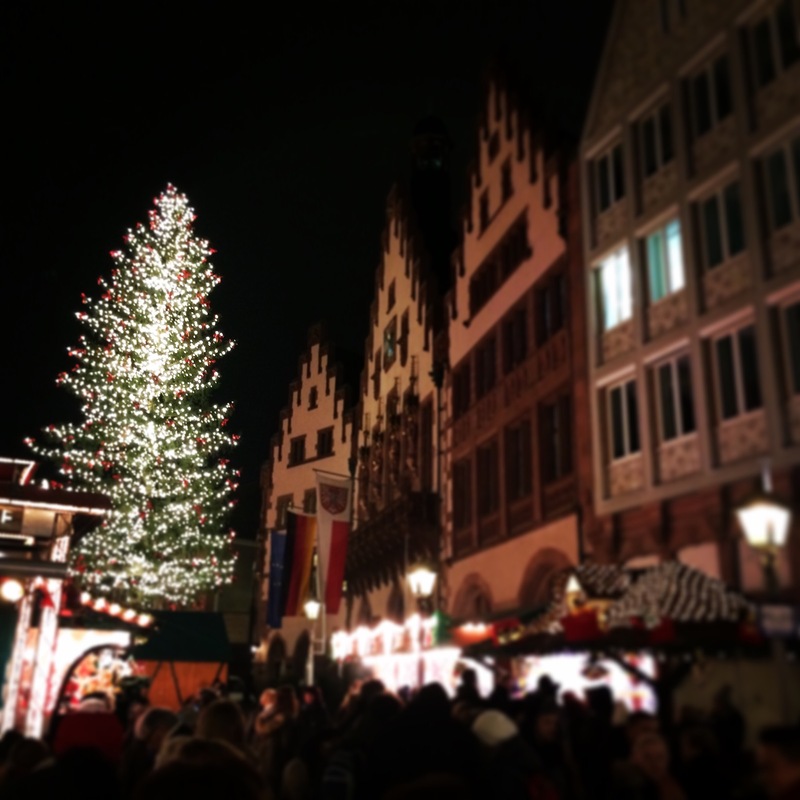 Germany is renowned for its Christmas markets (Weihnachtsmarkt) and they are beginning to pop up all over the place at the moment. 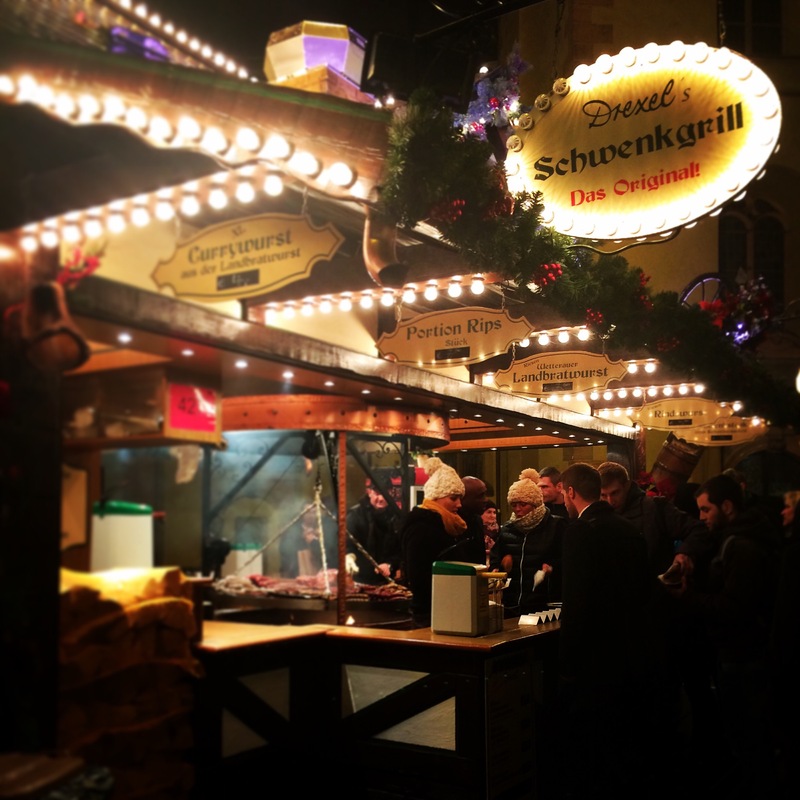 This presents us with the daily temptation of Gluhwein, pancakes covered in Nutella and, of course, grilled sausages (traditionally produced at every German festival). 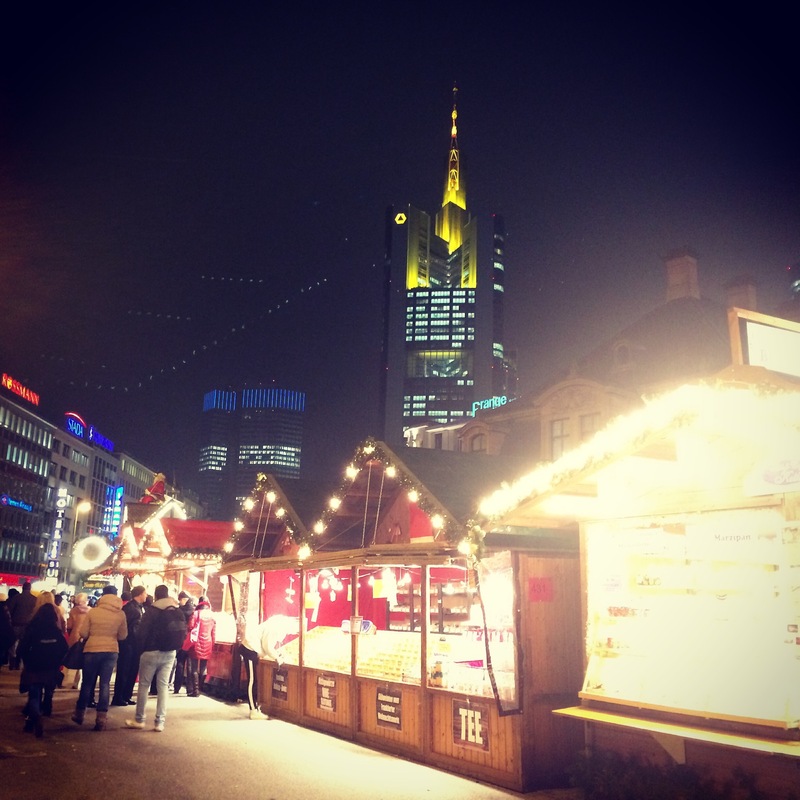 The most famous Christmas market is in the centre of Frankfurt stretching from the river in the Altstadt up towards Hauptwache. Its big, busy and very touristy, so probably not to everyone’s taste. More refined is the market at Bornheim Mitte. Smaller, cosier and a little more traditional. Or if you are looking for a really authentic atmosphere then take a trip out to the market at the castle in Bad Homburg. You can get there in under an hour from Frankfurt by train. If you are curious as to where your nearest market is though, here is a list of all of the markets in Hessen.